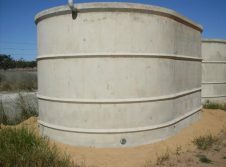 Using concrete water tanks for storage and protection has many benefits. It keeps water cool and clean and these structures are almost indestructible. It can’t be blown away, burnt or damaged in any significant way. 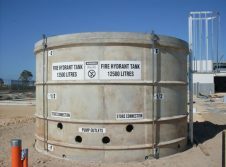 In short, concrete tanks are built to last. 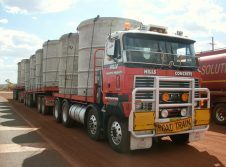 At Hills Concrete we manufacture above- and below ground precast water tanks in a variety of sizes, ranging from 2,750L all the way up to 245,000L. We’ve been building concrete tanks of all descriptions, including concrete septic tanks and concrete rainwater tanks, since 1963 and are able to supply a tank to suit your requirements, no matter what size your project may be. Our concrete tanks can be placed out of sight underground, which is especially important when installing concrete septic tanks. 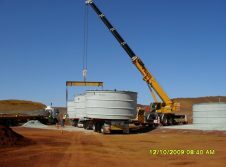 In addition, our concrete water tanks prices are competitive and the quality of our products outstanding. By installing concrete rainwater tanks you will be able to harvest clean fresh rainwater all year round. It provides additional reserves to water the garden, wash cars and top up swimming pools without any restrictions. It also safeguards against water restrictions during the periods of drought. Copyright © 2019 Hills Concrete Products.